Click on the attraction name for a description and contact information. 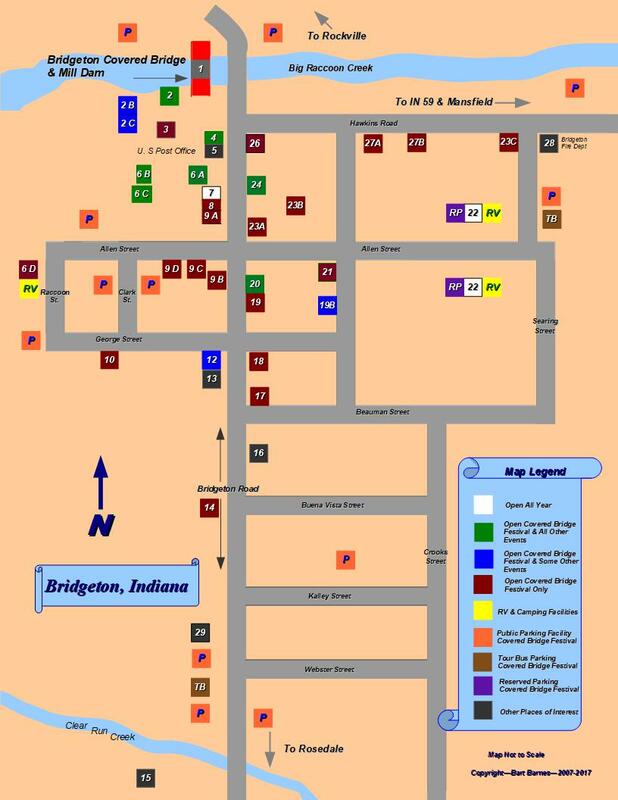 Click here for downloadable Bridgeton Town Map. Open Covered Bridge Festival ONLY!